What are the consequences of an HPV infection? What types of viruses increase the risk of cancer? How can you protect yourself from HPV? How does HPV affect relationships? What happens if the infection persists? What can be done against genital warts? How are Pap tests done? What are the possible outcomes of Pap tests? What are the advantages of screening? What are the disadvantages of cervical screening? What happens if you don’t go for screening every year? Are there any disadvantages? Does it make sense to pay for extra screening tests yourself? What happens if abnormal tissue (dysplasia) is found? What do HPV vaccines protect against? Who is the vaccine intended for? What does the vaccination involve? How well do HPV vaccines work? How long does the protective effect last? What factors play a role in the treatment decision? How will the stage of cervical cancer affect the choice of treatment? (PantherMedia / Adam Gregor) Human papillomavirus (HPV) infections play a critical role in the development of cervical cancer. There is a vaccine against these sexually transmitted viruses. It targets the most common of the cancer-causing viruses, but does not provide complete protection against cervical cancer. Cervical cancer is nearly always caused by infections with specific types of human papillomavirus (HPV). HPV infections only occur in humans, affecting skin and mucous membrane cells. They can be spread through direct contact with infected skin or mucous membranes. HPV infections usually go unnoticed, don't cause any symptoms, and clear up on their own. In rare cases, though, they gradually lead to the development of cervical cancer over many years or decades. There are currently more than 200 known strains of HPV. Some cause warts on the skin (also called papillomas). About 40 different types of HPV can infect skin and mucous membranes in the genital area. These viruses are transmitted sexually, but they are spread through contact with skin and membranes, and not through body fluids. Because they are very common, it is estimated that as many as 90% of all sexually active women and girls are infected. As well as having the vaccine, regularly going for screening can help prevent cervical cancer. Abnormal cells (dysplasia) can usually be discovered in this way and removed if necessary. HPV vaccines offer protection against the types of HPV that are most likely to cause cervical cancer. Infections with these viruses can cause cells to change and possibly develop into cancer. One of the available vaccines can prevent genital warts (condylomas) too. Although these warts are often unpleasant, they aren't dangerous. the vaccines can reduce the number of women with abnormal cervical cells that have changed so much that they are likely to develop into cancer (also known as high-grade dysplasia, or CIN 3). This suggests that the vaccines also provide protection against cervical cancer in the long term. Since August 2017, the only vaccines available in Germany are Cervarix and Gardasil 9. Cervarix provides protection against HPV types 16 and 18, which are responsible for about 60 to 70% of all cases of cervical cancer. It doesn't offer any protection against genital warts. Gardasil 9 provides protection against a total of 9 HPV types which are responsible for about 75 to 90% of all cases of cervical cancer. It also offers protection against genital warts. HPV vaccines don't have any effect on pre-existing HPV infections or genital warts. In Germany, HPV vaccines are offered to girls between the ages of 9 and 14. The costs are covered by statutory health insurers. Girls over 14 who haven't had the vaccine should be vaccinated by the age of 17 at the latest. Some statutory health insurers cover the costs for women above this age too. The question of whether boys should also be offered the vaccine is still being considered. In order to prevent young women from becoming infected with HPV, it is recommended that they be vaccinated before they become sexually active, if possible. The vaccine is injected into the muscles of the upper arm. It doesn't contain viruses that are able to reproduce inside the body. Instead, it contains proteins that are like the outer coat of HPV viruses. Although the vaccine can't cause an infection, it still triggers a response from the body's immune system. Protective antibodies are made. HPV vaccines usually involve two injections that are given five months apart. If the second injection is given before the five months are up, a third injection has to be given a few months later. Three injections are also needed if the girl is older than 14 when she has the first injection. Research has shown that HPV vaccines are very good at preventing HPV infections caused by the viruses that they target. They reduce the likelihood of cervical cells changing and becoming abnormal, and also lower the risk of cervical cancer. Without an HPV vaccine: About 30 out of 1,000 women would develop cervical cancer at some point in their lives – if they don't go for cervical screening. With an HPV vaccine: About 10 out of 1,000 women would develop cervical cancer at some point in their lives – if they don't go for cervical screening. In other words, HPV vaccines could prevent cervical cancer in about 20 out of 1,000 women. They would also prevent the need for surgery to remove pre-cancerous abnormal tissue. This is because women with high-grade dysplasia (abnormal cervical tissue with cells that have changed a lot) have such a high risk of cervical cancer that they are advised to have the abnormal tissue removed. 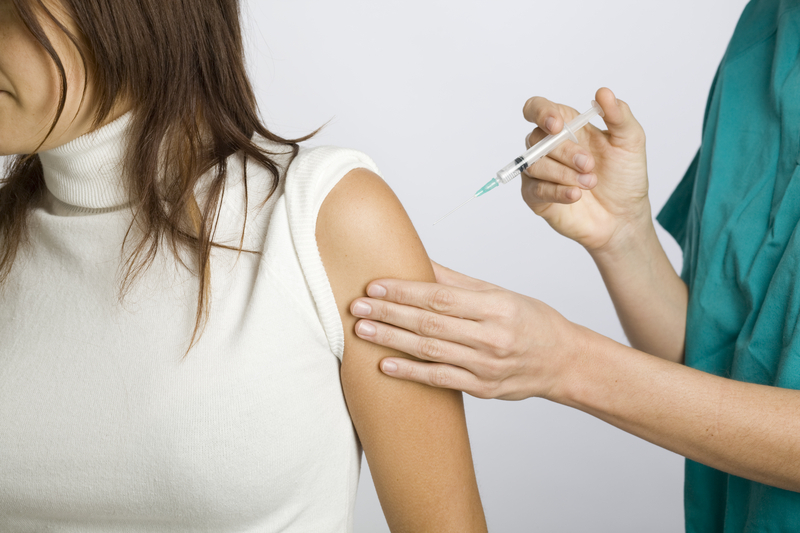 One of the vaccines, Gardasil 9, also greatly reduces the risk of genital warts. The effectiveness of the vaccine will depend on whether a girl already has an HPV infection when she is vaccinated. It is less effective in girls who have already been sexually active. It is currently not clear whether the vaccine offers long-term protection or whether it will have to be given again (booster shot) at some point. The studies in this area have lasted six years at the most. The vaccine continued to offer protection during that time. This suggests that the vaccine is effective in the long term too. But because cervical cancer usually develops over several years or several decades, more time is needed to be sure. HPV vaccines weren't found to cause any serious side effects in the studies. They may lead to various temporary skin reactions where the shot was given, including pain (in 90 out of 100 vaccinations), skin redness (in 30 out of 100 vaccinations), and swelling (in 40 out of 100 vaccinations). Problems such as indigestion, headaches, tiredness or muscle pain may also occur, but are less common. Some girls may faint after having an injection. Because of this, it is important to stay at the doctor's for about 15 minutes afterwards. The vaccination shouldn't be given to girls who have a fever. If the first vaccination causes an allergic reaction, a second dose shouldn't be given. Authorities worldwide have been monitoring reports of possible side effects of HPV vaccines since their use was approved. Due to the sheer number of girls who are vaccinated, the coincidental occurrence of new illnesses in some girls following HPV vaccination is to be expected. According to the World Health Organisation (WHO) and the European Medicines Agency (EMA), there is no indication that the illnesses that developed after receiving the HPV vaccine were actually caused by the vaccine. Delere Y, Wichmann O, Klug SJ, van der Sande M, Terhardt M, Zepp F et al. The efficacy and duration of vaccine protection against human papillomavirus: a systematic review and meta-analysis. Dtsch Arztebl Int 2014; 111(35-36): 584-591. Joura E, Bautista O, Luxembourg A. A 9-Valent HPV Vaccine in Women. N Engl J Med 2015; 372(26): 2568-2569. Lu B, Kumar A, Castellsague X, Giuliano AR. Efficacy and safety of prophylactic vaccines against cervical HPV infection and diseases among women: a systematic review & meta-analysis. BMC Infect Dis 2011; 11: 13. National Cancer Institute, National Intitutes of Health (NIH). HPV and Cancer. February 19, 2015. Ogawa Y, Takei H, Ogawa R, Mihara K. Safety of human papillomavirus vaccines in healthy young women: a meta-analysis of 24 controlled studies. J Pharm Health Care Sci 2017; 3: 18. Signorelli C, Odone A, Ciorba V, Cella P, Audisio RA, Lombardi A et al. Human papillomavirus 9-valent vaccine for cancer prevention: a systematic review of the available evidence. Epidemiol Infect 2017; 145(10): 1962-1982.